Having the proper fit is probably the most important factor to consider in choosing the ideal College Master's Graduation Cap. You'd like to make certain that the grad cap you wear to your graduation fits comfortably and securely. All Gradshop.com master caps are carefully crafted to guarantee that each and every cap provides the very best fit without sacrificing quality. 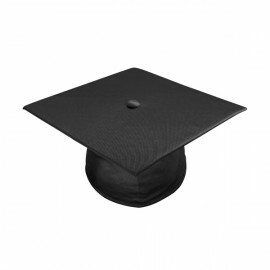 They are made with high quality form-fitting fabric to perfectly fit the graduate's head. 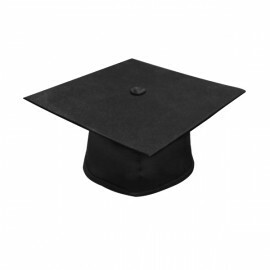 The cap consists of a strong and sturdy motarboard and a top quality wrapped fabric to ensure that the form and fit stay the same as the day it was made. This makes it an ideal keepsake which will still look great years and years after the actual graduation day. There really is no better deal than what you get with Gradshop's College Graduation Caps. They're the perfect symmetry of style, comfort and quality, at unbelievably low prices. Get your very own master's graduation cap for your college graduation today!